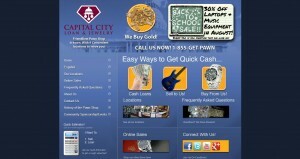 Capital City Loan & Jewelry address, phone, website, hours of operation, and more. 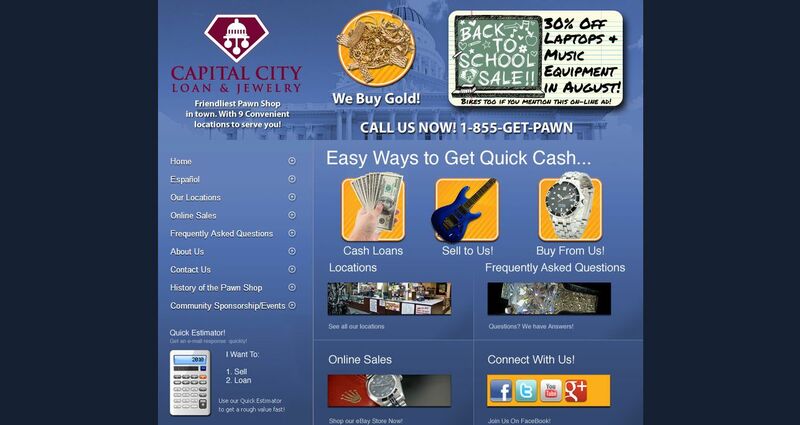 Capital City Loan & Jewelry opened in 1992 with a little shop on El Camino Avenue in Sacramento. Since then a lot of changes have been made, but not in our philosophy of being the friendliest pawnshop operation in town. We now offer assistance at 9 locations throughout the Sacramento area, in addition to West Sacramento and Roseville. We pride ourselves in providing excellent customer service. We understand that everyone has different needs, and our goal is to provide a high level of service depending on the customer’s needs. We believe that we provide an invaluable service to people in need of short term loans. We also offer customers the opportunity to purchase new and used merchandise at a great deal. We are eBay power seller CCLOAN. We strive to alter the “stereotype” of our industry that the media and Hollywood has pushed for years and invite you to come into any one of our 9 locations to receive superior customer service, and to enjoy the benefits that our business has to offer in retail sales or short term loans. We believe in supporting our local communities that have aided in our success. We belong to the Sacramento Chamber of Commerce, the Roseville Chamber of Commerce, and the Del Paso Area Development Association. We are members of the Collateral Loan and Secondhand Dealers Association of California. We maintain working relationships with local law enforcement within the cities of Sacramento, Roseville, and West Sacramento, as well as Sacramento County. We contribute time and financial resources to the Boy Scouts of America, the Sacramento Police Officers Association Memorial Scholarship Foundation, Sacramento County Sheriffs Star 6 Foundation, as well as several local schools.